One of the more heavily received requests for the Beginners’ Guide we have gotten is for a quick guide to editing contacts on an Android device. Unfortunately, we realize it may not be as straight forward as one would hope, so hopefully this little guide can lead you in the right direction. Let’s get to editing some contacts. 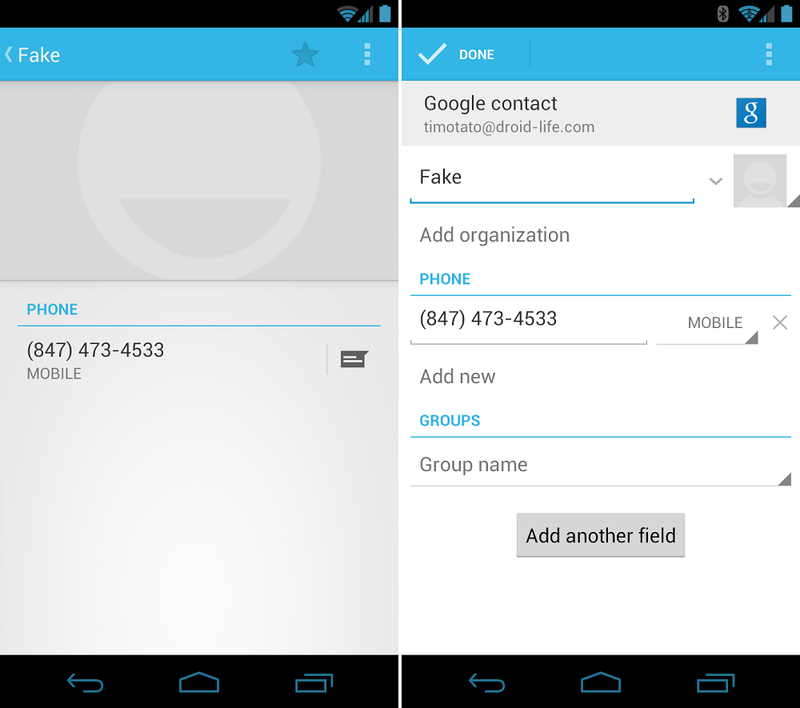 Android contacts can contain more information that you probably realize. They can hold the name of a person or organization, multiple phone numbers and email addresses, physical addresses, nicknames for contacts, events, relationship to you or others, instant message info, and more. The best part about them though, is the fact that they are always stored through your Gmail account in the cloud, so that if you were to lose your phone or pick up a new one, the info you have stored will always be retrievable. 1. Once you’ve opened your app drawer, locate the “Contacts” or “People” application shortcut. 2. Locate the one you wish to edit and tap on it. 3. Depending on your device, either hit the on-device settings key or the on-screen settings key (three dots). 6. From the edit page, you can edit the contact how ever you see fit. As I mentioned earlier, you can add multiple phone numbers and email addresses, organization names, and group contacts. If you want more options, you need to select the “Add another field” button. This will let you get into physical addresses, nicknames, instant messaging info, and more. 7. Hit “Save” or “Done” when you’ve finished editing and you’re good to go. Monday Poll: How Many Apps are Installed on Your Phone?